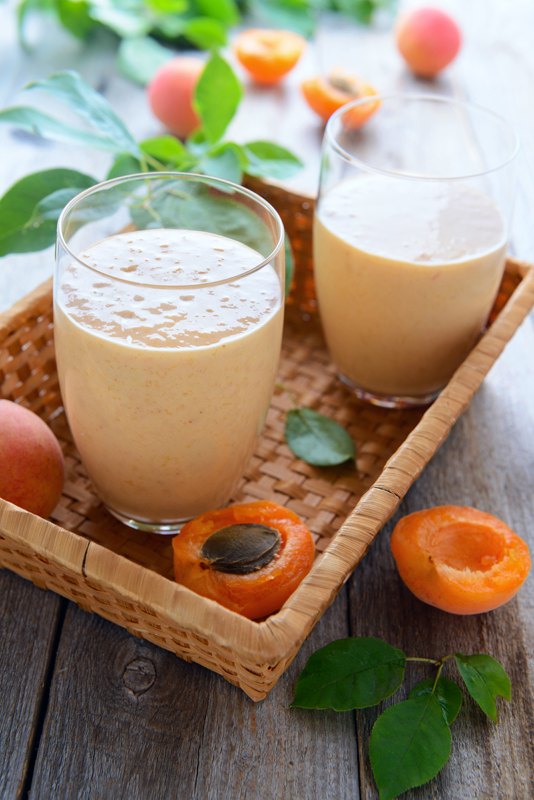 Apricots and carrots are both rich in beta-carotene, which is excellent news for your skin! Your body converts the beta-carotene into vitamin A, and this helps to offset the signs of premature aging. So, not only do you get to enjoy a delicious smoothie - you're also on the road to enjoying beautiful skin. Place all of the ingredients into a blender, and blend until smooth and creamy. You might want to grab a straw and a spoon for this one!